Decaying of teeth is one of the most common problems that occur in 90 percent of the adults over the age of 40 years. Tooth decay causes suffering, pain and disability among millions of people around the world. It is necessary to take care of your teeth and protect them from decay and cavities. The teeth begin to decay on the enamel and lead to cavities which increases with time. In this post we are explaining the top five things that you need to know about tooth decay. The decaying of teeth or cavities usually begins with an invisible hole that we are not able to notice. As the mouth always contains bacteria, they quickly enter the hole and settle down under the enamel. It produces acids in the mouth, which deteriorates the enamel from minerals, and the process is known as demineralization. The bacteria eat away at the enamel by entering the hole and reach the centre of the tooth that contains a softer material known as dentin. The bacteria in the mouth eat away calcium in the dentin and turn it into a brown mush over the time. When you visit a dentist for the treatment of a tooth cavity, he drills out the damaged dentin and refills the space in the tooth. You might think that it is the sugar that causes decay of teeth and leads to cavities, but new research shows that the acidic foods that change the pH in our mouth can develop plaque and cause tooth decay. Now think of the acidic foods we consume daily. The first thing that comes to mind is the tea and coffee. Both these beverages contain high amounts of caffeine, which is the main offender. Other beverages include the caffeinated drinks, soft drinks and energy drinks. 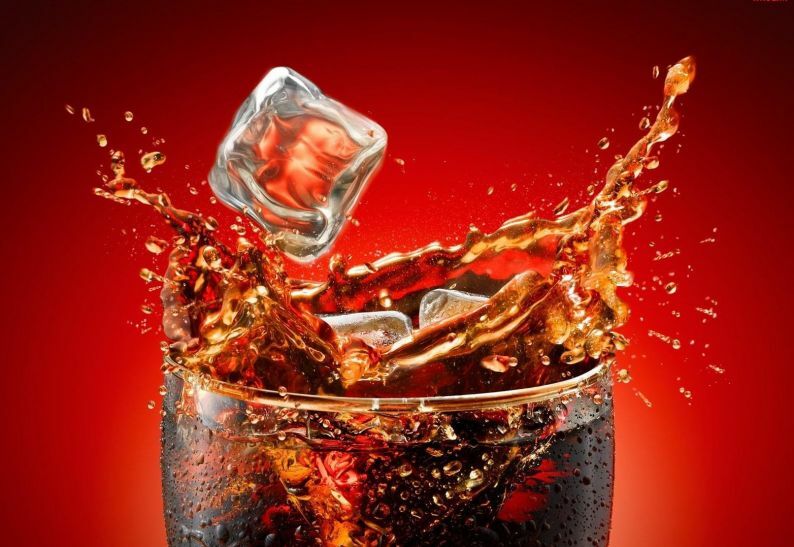 All the beverages that contain caffeine are acidic and harm the teeth. People quickly become addicted to tea or coffee as the caffeine stimulates the nervous system. The high levels of acids in these beverages attack the calcium in the teeth and weaken the enamel that leads to cavities. Sugar is not an exception in decaying of teeth. The bacteria present in your mouth feed on the sugar and create acids that harm the tooth enamel. The acids in the mouth cause the bacterial infection, which leads to cavities. If not treated at the right time the cavities can spread into the deep layers of teeth leading to loss of teeth. As the decaying of teeth progresses, the symptoms begin to appear. People who visit their dentist regularly are able to detect the symptoms and start the treatment at the right time. The most common symptoms include pain, pressure, pits and pus. A toothache is one of the most common signs of the tooth cavity. When your tooth suddenly starts paining without any apparent reason, it’s a sign of the beginning of a cavity. Sometimes, the tooth becomes highly sensitive to hot and cold. Eating or drinking anything hot or cold causes pain in the tooth. Patients may not notice a hole or cavity in their tooth, but they can be seen in a dental X-ray. If the holes are allowed to progress with time, you can see them easily in the mirror. The more severe cavities develop pus in the affected tooth that is visible and causes extreme pain. In case you notice these symptoms in your teeth, it’s time to visit a dentist and start the treatment. 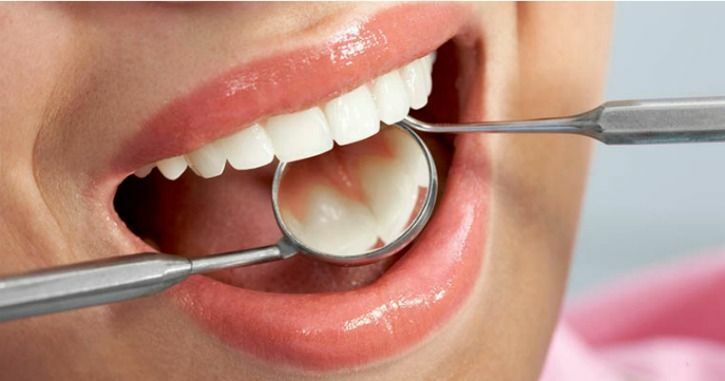 Early diagnosis and treatment of dental cavities and protects you from teeth loss. Although many people suffer from tooth decay and other dental diseases, there are many things that you can do to prevent the cavities and decaying of teeth. The key to healthy teeth is the oral hygiene, which includes regular brushing, dental floss, mouthwash and eating the right foods. Brushing: It is essential to brush your teeth regularly to keep them clean and free from bacteria that causes harm. Dentists advise brushing your teeth at least two times a day, in the morning and again in the night before going to sleep. Also, it is essential to use a good quality toothbrush that can clean the spaces between the teeth. Toothpaste: Your toothpaste should be of good quality, and it should contain fluoride. Flouride is an element that provides a potent defence against harmful bacteria and mouth odour. Flossing: Floss is essential for cleaning the spaces between the teeth that are not reachable by your toothbrush. It involves using a thread to clean between the teeth and remove the food particles from the teeth. Mouthwash: Mouthwash comes in handy when you don’t have time to clean the teeth. For example, after snacking something in the evening or the office, you can use mouthwash to rinse your mouth of the bacteria. Why are Dental visits important? People who visit their dentist regularly are less like to experience the dental problems. You should not wait for visiting a dentist until a cavity builds up on your teeth. Even if you have sound oral health, you should visit a dentist at least twice a year. Dentists offer a basic form of treatment for cavities that is called filling of the tooth. Filling involves drilling and removing the decayed part followed by filling the tooth with a strong filling. The treatment of more server cavities needs advance treatment like dental implants and canals. Not only for treatment cavities and tooth decay, it is essential to visit a dentist for regular checkups and oral care advice. Most of us learn about the oral health and preventing tooth decay at an early age, but many adults are prone to cavities and other dental issues. It is best to follow a proper oral hygiene routine and visit your dentist every two or three months to protect your family from dental issues. Know Why Taking Care of Your Skin is All-Important!